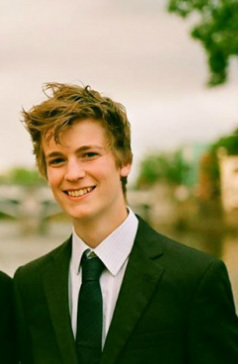 Jonny is in his third and final year of study at Royal Holloway University of London where he is reading BMus Music. As a first study pianist, Jonny has performed regularly in solo recitals as well as accompanying other instrumentalists and singers. Alongside Voices Anon, he also accompanies New Egham Singers in Egham. He is currently preparing for a performance of Gershwin’s Rhapsody in Blue at the start of the new academic year with the Royal Holloway Symphony Orchestra. Having received so many performance opportunities at Royal Holloway, Jonny would like to pursue his playing career further after graduating in 2015. As well as a pianist, Jonny is also a keen trumpeter and is the Musical Director of the University’s ‘Undergraduated Big Band’ who play regularly in University as well as various function gigs off campus.